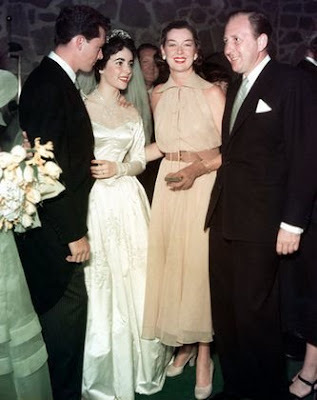 I realized I have only seen one photo of Roz with Elizabeth Taylor…. I wish I knew more about any relationship between the two, but as of now, I only have the evidence of the photo… Elizabeth was so young at the time. (I’m still a little sad over Liz’s death).